Heat a pan with ghee add chopped banana and saute it well. Add grated coconut cardamom powder and sugar. Mix it well and saute it for few minutes in low flame. You may add chopped nuts to the roasted banana. 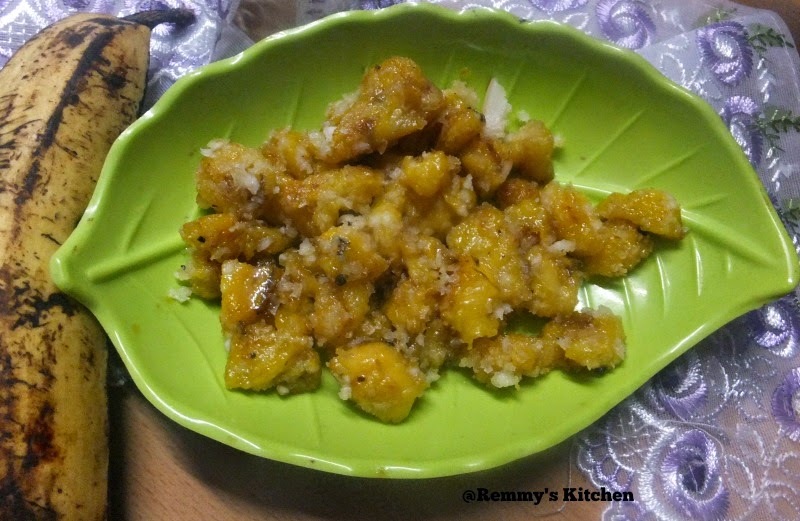 Good recipe presented for the preparation of Beautiful nenthra banana sweet. this looks similar to the ghee kera we have except we don't cook the banana. 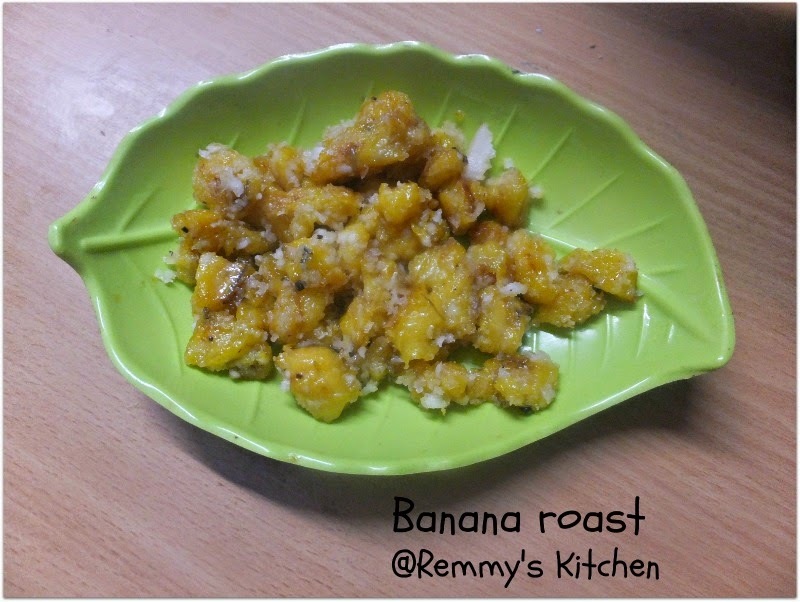 I love the combination of ghee, banana and sugar. Simple and Easy, what's not to love! Yummy! Pass me that plate dear.